The opposition parties in Germany are warning each other not to join Merkel. The general hope is if nobody joins in a coalition with here, she will be unable to form a government. There is a rising sentiment in Germany that if Southern Europe can’t pay their bills – no bailouts. This was the reason for taking the bold step to screw Cyprus following the M.F. Global solution agreed upon at G20. With our computer models targeting panics for the Fall, this German election is going to be do or die for the Euro – and that ain’t looking good. The only thing to look forward to are new lows – the major high is in place. 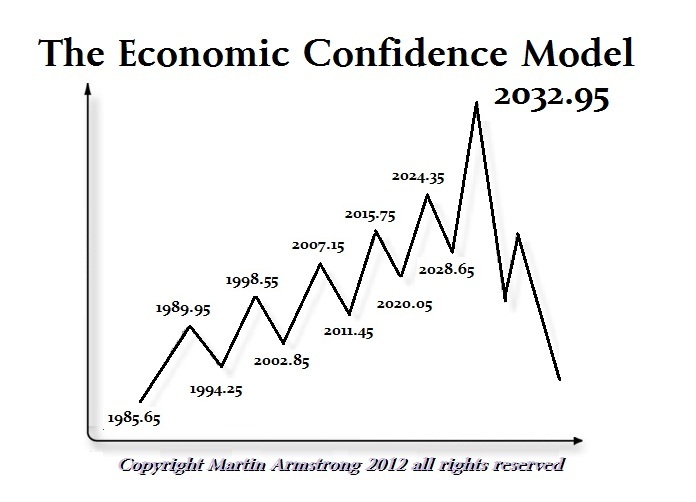 The long-term models show Europe will crumble with a 23-26 year collapse from the 2007 high = probably 2032.